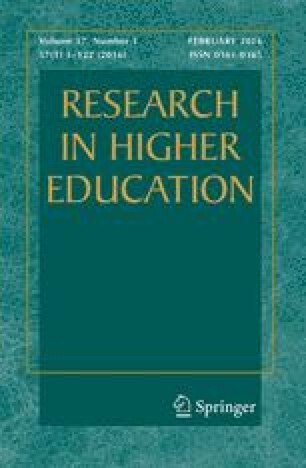 The study empirically examined the role of finances on college persistence by presenting a causal model that relied on several theoretical frameworks. A quantitative model was tested via linear structural equations for categorical data that incorporated constructs from the financial aid literature as well as the persistence literature. The research design was longitudinal in nature and analyses were conducted on a sample of 466 college students who were attending a large public urban commuter institution in the spring of 1989. In sum, results appear to suggest that financial aid, and its concomitant attitude, is important not only because it equalizes opportunities between affluent and low-income students, but also because it facilitates the integration of the student into the academic and social components of the institution as well as by influencing his or her commitment to stay in college.